Below is a comprehensive list of hotels in Africa Alive. Use the sort links to refine your search or to find featured accommodation in Africa Alive. Many of our hotels in Africa Alive feature no booking fees and best price guarantee when booked through the Pictures of England website. To list your hotel in Africa Alive, click here. Set within 2 acres of award-winning gardens, The Old Rectory B&B is just 20 minutes’ drive from Southwold. With free WiFi and free onsite parking, t..
Willow Pool House is a holiday home is set in Kessingland and is 38 km from Norwich. The unit is 21 km from Great Yarmouth. Free private parking is av.. Situated 38 km from Norwich and 21 km from Great Yarmouth, Salty Dogs Chalet offers pet-friendly accommodation in Lowestoft. The property boasts views.. Located 38 km from Norwich, Stone's Throw offers accommodation in Kessingland. The unit is 22 km from Great Yarmouth. There is a dining area and a ki.. Situated in Kessingland, this holiday home is located 38 km from Norwich. The property is 22 km from Great Yarmouth and free private parking is featur..
Pebbles is a holiday home with free WiFi throughout the property, located in Kessingland. It provides free private parking. The kitchen is equipped w..
Seaside Cottage is a holiday home with a barbecue, situated in Kessingland. 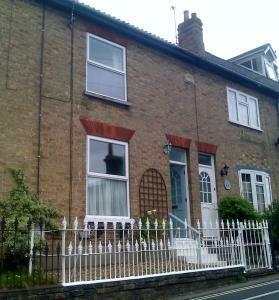 The property is 38 km from Norwich and free private parking is offered. Fr..
Shrimp Cottage II offers pet-friendly accommodation in Kessingland. The property features views of the city and is 38 km from Norwich. 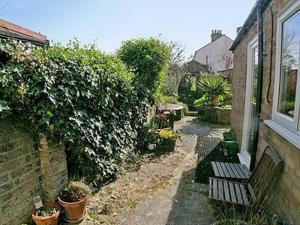 Free private pa..
A mid-terraced cottage just 2 minutes' walk from the beach in the popular Suffolk seaside village of Kessingland. With a contemporary style, this Kes.. The Boathouse II offers accommodation in Kessingland, 38 km from Norwich and 22 km from Great Yarmouth. The unit is 30 km from Aldeburgh. Free private.. Situated in Pakefield in the Suffolk Region, this holiday home is 36 km from Norwich. It provides free private parking. There is a dining area and a ..
A 9-minute drive from Lowestoft, The Fisher is a short walk from Pakefield beach and offers full English breakfasts, free parking and WiFi. Seasonal r..
Set 36 km from Norwich and 17 km from Great Yarmouth, Sea Pearl offers pet-friendly accommodation in Pakefield. The unit is 35 km from Aldeburgh. The.. Featuring a barbecue, Driftwood is a holiday home set in Pakefield. The unit is 36 km from Norwich. The unit fitted with a kitchen with a dishwasher ..
Florence Road is a holiday home is located in Lowestoft and is 36 km from Norwich. The unit is 17 km from Great Yarmouth. Towels and bed linen are fe.. Located in Beccles in the Suffolk Region, this holiday home is 32 km from Norwich. It provides free private parking. There is a dining area and a kit.. Located in Pakefield in the Suffolk Region, this holiday home is 36 km from Norwich. The unit is 17 km from Great Yarmouth. The kitchen features a di.. The Old Pottery offers accommodation in Barnby, 31 km from Norwich. 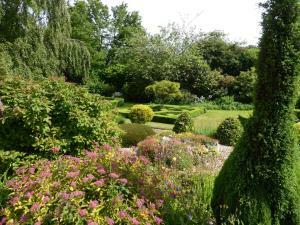 The property boasts views of the garden and is 18 km from Great Yarmouth. There i.. Located in Lowestoft, in Suffolk, Chiltern House B&B offers en suite accommodation, free WiFi and street parking without time restrictions. The proper..
Orchard Farm Cottage is a holiday home located in Barnby, 31 km from Norwich. 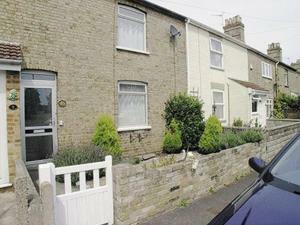 The property is 19 km from Great Yarmouth and features views of the city..